The gnome princess has finally come home. She managed to make peace with the trolls and befriend their queen, but at home evil was afoot: a warlock collector stole the gnome monarch's castle along with the royal family! The princess must gather a team and set off on a new adventure to save her loved ones! Set off and explore uncharted lands full of mystery and unbelievable creatures in this exciting casual fantasy/strategy game. You'll discover lots of different objectives, a fun plot, and new game elements to try. Manage resources, build structures, plant magic giant trees, and fight against the dastardly warlock and his mass of followers. Upbeat plot, comics and charming characters! 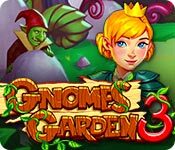 Gnomes Garden 3 is rated 3.4 out of 5 by 14. Rated 5 out of 5 by Harmony_M from One of my favorite games in the genre of time manager! I love this series of games! There are magic, brave princess, trolls and other mythical creatures. Also the new game has an evil sorcerer and his assistants! As for me, the story became very interesting. In my opinion, the levels have improved in comparison with the last part. I think they like not only me :) And one more pleasant surprise was the comic at the beginning of the game. I love animation and special effects! Rated 5 out of 5 by pennmom36 from The Castle Has Been Stolen! The Princess has finally returned home along with her new friend the Queen of the Trolls. Her people are in distress and explain that the castle and it's people have vanished into thin air. It turns out that warlock from the Great Grey Wastelands has been travelling around the world and collecting beautiful castles. With help from a mage and the Troll Queen herself, this is an adventure the Princess must embark upon quickly to save her family from the Warlock. Unlike the previous two Gnome Garden Time Management games, this edition requires a little strategy to complete the levels. You will have to select tasks in a specific order to achieve a perfect score with three gold stars, I found myself having to restart levels because I wasn't able to go any further with the choices I had made. There are the usual tasks, collect food and other resources, clear blocked paths, repair holes, repair wood and stone bridges, build and upgrade Workers houses, Mills for food, Sawmills for wood, Quarries for stone, Mines for Crystals etc. You will need to build a house for the Sorceress before she can cast spells, plant magic seeds, and restore the magic tree. Once her house has been built, she will need magic crystals to plant the seeds. Once she has planted the seeds, they will need to be watered, which requires a Fireman, the Fireman requires a house built, once the house has been built, the fireman needs a clear path to the water source, and so forth. The Fireman is also used to chase away the merryman who annoys the workers and prevents them from passing. As you progress, new bonuses are added to help you achieve your goals such as Swift feet which briefly give the workers supersonic speed, or Extra Resources, these bonuses will recharge automatically and you'll want to use them as often as possible because the levels are designed to include the use of them to achieve expert time status, enjoy! Rated 5 out of 5 by 0330anthony from Loved it & So Will You I have all the GG games & will be purchasing this one to. I especially liked that it makes you think. So if you like your TM game with a strategic twist. this is one for your collection. Rated 5 out of 5 by Julia_Caesar from Awesome game I like this a fun and beautiful game. I recommend! Rated 5 out of 5 by McKoehn from A fun, colorful game. Like the series. Just started playing, and I bought it as I enjoyed the previous two games in this series. Like the fast play and colorful screen. Like the options you can use to improve your game. A very cute game that I find great fun to play. Thanks for another good time management game. Rated 4 out of 5 by beltie from Only 4 Stars The third game in the Series is still fun. Nice graphics, good strategy, and replay. Can't comment on the music, as I always mute that. I only gave it 4 Stars because having to depend on Altars to randomly generate resources such as Gems, really detracts from the Game. 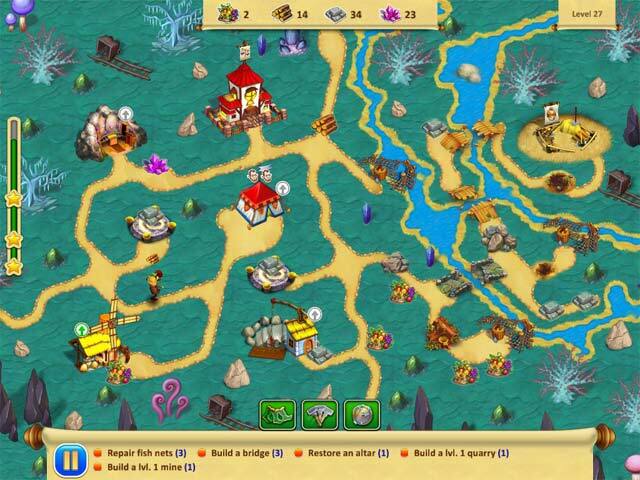 This TM game requires strategy, not just building buildings and clicking on resources. It is hard to plan a successful strategy with a random factor based on pure Luck. Not being able to produce or purchase a resource required to attain a 2 or 3 Star Level completion, in my opinion, takes away from the fun and is extremely LAME. The Developers should remove that. The other item that was a detraction for me, was the Giggling Chest. I must have clicked that over a dozen times and STILL was only able to collect a few of them. Because of the two items mentioned, I would have given the Game 3 1/2 Stars if that was possible. Since I couldn't, I gave the Game 4 Stars, as it was still fun and I enjoyed the first two in the Series. Just could have been much better without the two items noted above. Rated 4 out of 5 by polomad from Good game, far too easy! I love these type of time managament games, they are really fun. I bought it as soon as the free trial was over. i love everything about this game as it is really fun, but i managed to do 90% of the levels in my first try with three stars. such a shame really as i would have liked it to be more challenging. I would still recommend it as it is a great game. Rated 3 out of 5 by AverageSizeFish from Far too easy - based on finished game This game is much like the first game in the series. 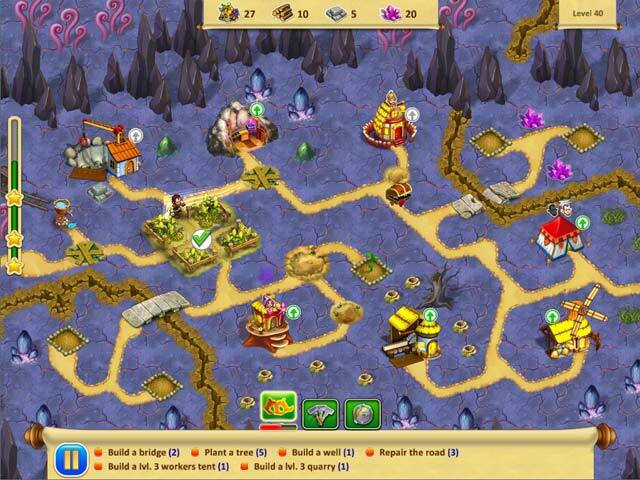 You clear obstacles, build resource-generating buildings, fix altars, and plant trees. The graphics are brightly colored and cartoonlike. The big problem with this game is that it presents absolutely no challenge at all - none. I kept playing each level waiting for the difficulty to ramp up and that just never happened. Near the end of the game, you become dependent on altars that produce random resources. This is slightly annoying because you cannot strategize your way out of waiting for them to cough out that last crystal you need to finish but I was able to finish all the other tasks so quickly that this never stopped me from getting gold on those levels. Because the game is so easy I completed it in an extremely short period of time so it isn't a good value. Overall, I would only recommend this game for small children. It most definitely is not a game for adults. Rated 3 out of 5 by kiwis00 from Zzzzz! Boooring! Fun? Back and forth. Good for young children. Rated 2 out of 5 by Mathygamma from Not worth It I only played the demo for 25 minutes before I deleted it from my computer. It was boring. Do not waste your time on this one. 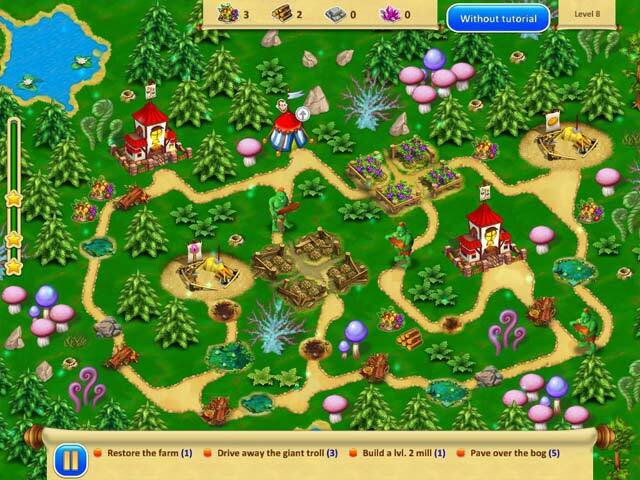 Gnome Garden 3 - a new chapter in this exciting fantasy/strategy game. Head off into unknown lands and defeat the warlock!